The peewee protein machinery, dubbed Cas14, is related to but one-third the size of the Cas9 protein, the business end of the revolutionary gene-editing tool CRISPR-Cas9. While Cas9 was isolated from bacteria, Cas14 was found in the genome of a group of Archaea—a primitive relative of bacteria—that contains some of the smallest cells and smallest genomes known. Cas9 and other Cas proteins are part of a defense system evolved by microbes to protect themselves from viruses. All are targeted enzymes that seek out and bind very selectively to a specific DNA or RNA sequence—in microbes, those that match sequences stored in its CRISPR memory banks after earlier viral infections—and then cuts the DNA or RNA to disable the new invader. "For molecular diagnostics, you want to be able to target double-stranded DNA, single-stranded DNA and RNA," said Lucas Harrington, a UC Berkeley graduate student and first author of a paper reporting the discovery. "Cas12 is really good at double-stranded DNA recognition, Cas13 is really good at single-stranded RNA recognition and now Cas14 completes the set: it is really good at single-stranded DNA recognition." 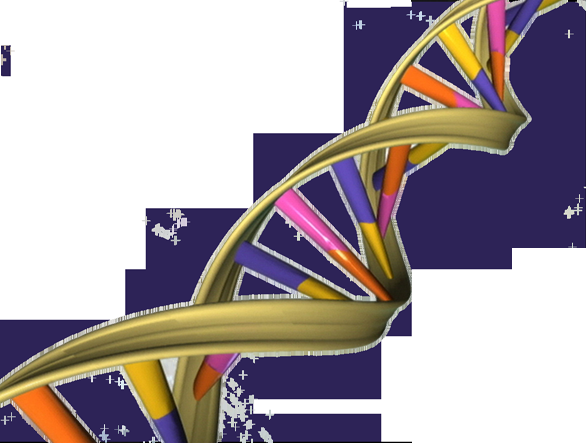 The wanton cutting of DNA is a possible disadvantage in therapy, but a great advantage in diagnostics. The Cas14 protein can be paired with a fluorescent marker attached to a piece of single-stranded DNA. When Cas14 binds to its target DNA sequence—a cancer gene or a gene in infectious bacteria—and starts cutting DNA, it will also cut the DNA linked with the marker, generating a fluorescent signal. "Cas14 targets single-stranded DNA in a much more specific way than Cas12 does," added Harrington's colleague, Janice Chen, who recently received her Ph.D. from UC Berkeley. "That was a really unexpected finding. Because it is so small, we barely thought it could work, but actually it is super-specific, which makes it also a really powerful addition to the diagnostic toolbox." The discovery will be reported online Oct. 18 in advance of print publication in the journal Science. Doudna is a Howard Hughes Medical Institute investigator and co-director of the Innovative Genomics Institute. Banfield is the microbiology lead for IGI. The Cas14 protein was found by co-first authors Harrington and David Burstein, now a professor at Tel Aviv University in Israel, as they looked for Cas variants in a database of microbial genomes created over the past 15 years by their UC Berkeley colleagues—a team led by Jill Banfield, professor of earth and planetary science and of environmental sciences, policy and management. The genomes, numbering in the tens of thousands, were obtained by metagenomic sequencing of all the DNA in samples from a variety of exotic environments. Cas14 was found in the genome of Archaea sequenced from groundwater samples obtained from a toxic cleanup site in Rifle, Colorado. Cas14 is half the size—between 400 and 700 amino acids in length—of CasX and smaller than all other known Cas systems, which range in length from 950 to 1,400 amino acids. "By happenstance, we found these very small proteins, which other people just throw away because they don't look like previously known CRISPR systems. They are too small," Harrington said. "We decided, what the heck, let's give it a shot. We tested it out and we were actually shocked to find that these were actual functional systems." Finding the gene for Cas14 in the database was only the beginning. Most Cas proteins to date have been found in bacteria, and thus work well in the standard lab bacterium, E. coli. But Cas14 is from Archaea—and a group of the smallest of the Archaea, called DPANN. All Cas proteins incorporate bits of RNA for targeting and binding, but Cas14 won't work with CRISPR-Cas9 RNAs, so the team also had to fish out of the database the two RNAs that must be present for Cas14 to function. In addition, DPANN Archaea cannot be grown in the lab—they appear to be parasitic or in some way dependent on other larger Archaea—so the researchers had to create the right environment in a test tube. Harrington noted that the metagenomic mining turned up various versions of Cas14 that may prove to be useful biotech tools. "One amazing thing ... is just how diverse these systems are," he said. "We've described more than 40 new CRISPR-Cas14 systems and eight different subtypes. This opens up the floodgates for investigation of these new CRISPR systems." Nit: Archaea is not "primitive" in the old genetic sense since they and Bacteria are sister lineages.